ü Enterprise Resource Planning (ERP) is a business process management software. ü This is used by an organization to manage the office and automate the business functions. These system make the data easily accessible and more usable in terms or organization of files. ü This allows accurate planning by the company and have result oriented approach. ü The company can also schedule the daily activities with the help of ERP software solutions. It also helps in managing the finances well. ü These software play a very crucial role in the development of a company. ü ERP solutions also help in managing the records of the employees and allow the employer to plan the growth accordingly. ü This also allows the company to have fluent communication with the clients. ü It is a very cost effective system and the benefits are always greater than investment. This helps in long-term planning and management. ü This eliminates the need of multiple management software. It helps to integrate the interaction between marketing, sales, quality control, product processes, supply lines, stocks, human resource module, customer relationship management, information technology, and many other functions in a single database. ü It reduces the chances of typing errors and re-entry. ü Enables the company to use a single software and maintain one database for the whole company. Why is Important for Business? 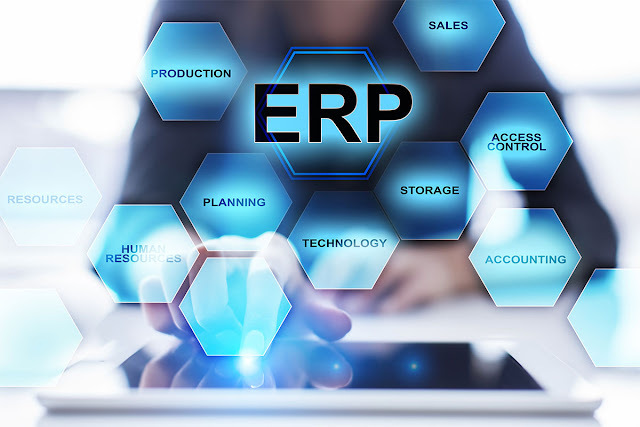 ü ERP tools help in managing accounts, employee records and internal and external factor affecting the company. ü It reduces cost in the long term by increasing the productivity. ü Reduces the time and effort of managing records as compared to the paper records. ü The merger of financial and operational information allows the company to analyse the business needs and act in a more effective manner. ü By combining all the records in one whole, ERP makes the management of data easier and more productive. ü Apart from records, ERP also helps in the management of material and ensures that no material is lost or stolen. It would also automate the process of buying and maintaining material after analyzing the stock. ü Helps the company to predict market trends and decide the course of action accordingly. ü Allows the company to expand business using the internet. ü We decide upon the scope of ERP and plan your software accordingly. ü We have a team of highly experienced and trained professionals who work devotedly on your project. ü We offer cost effective solution with option of flexible payments. ü Ensure 100% safety of your data with a no leak guarantee. ü We synchronise your data into a whole to help with better management of all the sections. ü We help you to expand your business through internet by proper management of the data. ü Allow the IT sections of your company to focus on core business issues instead of bothering over trivial data management. ü We provide the latest software suiting your business needs. ü You can choose a module suiting your business requirements and you don’t need to buy the complete package and have to pay only for the service you choose to use. ü We ensure the timely delivery of results. ü We ensure increased productivity and profitability by proper management of data. ü We help you choose the correct ERP module for your business. ü We also help you monitor your progress by the deployment of our ERP software. ü We also help in analyzing the customer’s mindset and enable your company to plan accordingly. We are one of the most reputed software development companies and will ensure the best experience for you.